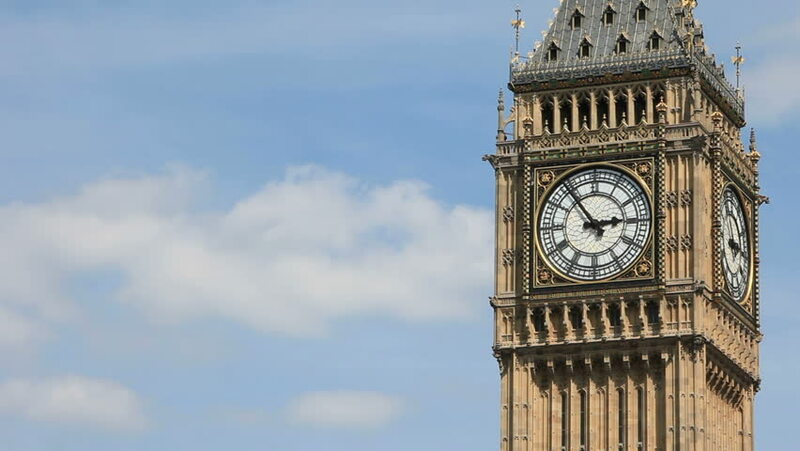 Big Ben, Elizabeth Tower, Palace of Westminster, London Time lapse video footage of the iconic London landmark, Big Ben set against a blue sky and swirling time lapse clouds. hd00:24Westminster, London, England. Close up shot of "Big Ben" clock tower at 4pm. Tripod locked-off. With street sound of chimes. HDV source.